Manchester United legend Gary Neville took to his Twitter page to heap praise on our major summer signing Petr Cech, after the 33-year-old produced a trademark display against his former side at Wembley on Sunday. 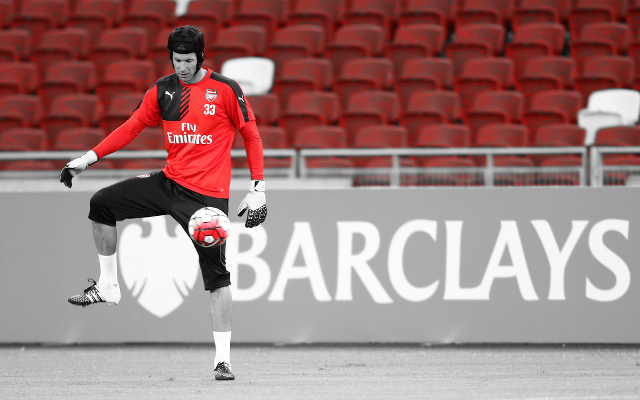 Cech has that habit of making things look as simple as they are for a top GK. Cech, in what was sure to have been an emotional affair for him, was professional throughout the match. He produced one smart save from an Oscar free-kick, playing a major part and guiding us to clinch back-to-back Community Shields. His presence clearly spreads confidence throughout the defence, and Neville voiced his admiration at how Cech is able to make the intricate details for a goalkeeper look so simple. For a player who has played in front of some of the best goalkeepers football has ever produced in Peter Schmeichel and Edwin Van Der Sar, Neville knows a good shot-stopper when he sees one. Cech is comfortably in the same calibre as the aforementioned duo and his trophy cabinet speaks for itself. If ever there were doubts about what the Czech star would bring to our side, he demonstrated his worth during a 90-minute spectacle in terms of our defensive display.